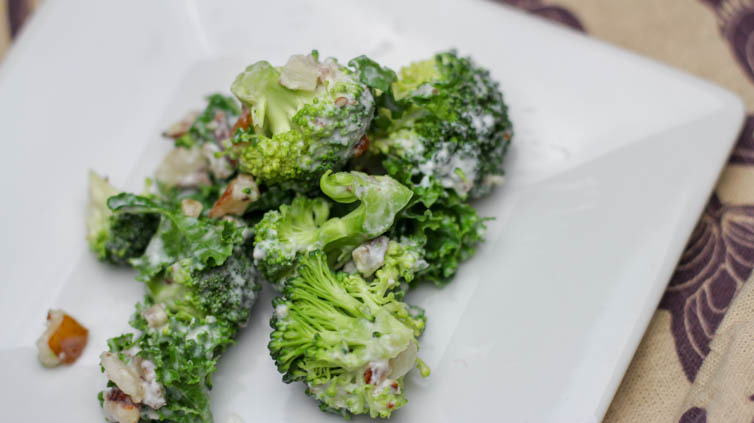 Print Recipe Chopped Broccoli Kale Salad Votes: 0 Rating: 0 You: Rate this recipe! 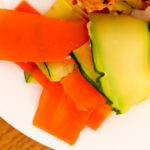 Add to Meal Plan: Select Course to Add: BreakfastLunchDinner This recipe has been added to your Meal Plan Course Vegetables Cuisine No Cook Prep Time 15 minutes Servings sevings MetricUS Imperial Ingredients 12 oz chopped broccoli fresh5 oz baby kale torn2 … Continue reading "Chopped Broccoli Kale Salad"
Carrot Apple Slaw for Weight Loss Surgery Patients Lower in fat and sugar than traditional Carrot Apple Slaw I’ve always loved the traditional Carrot Apple Slaw you often see at summer cookouts and barbecues. 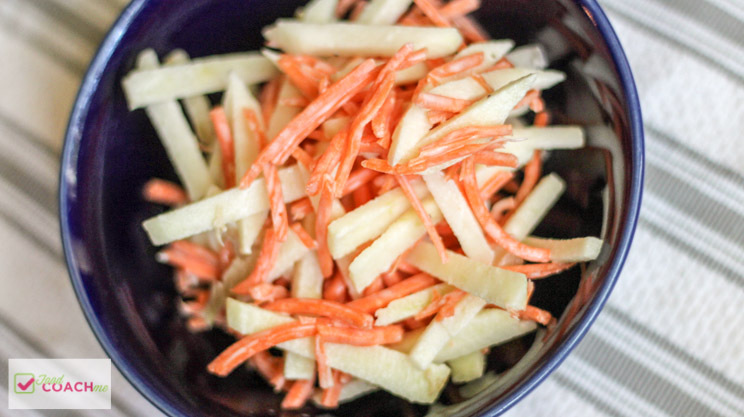 Fresh and crunchy and feels healthier than crunchy potato chips or all the creamy potato or macaroni salads. 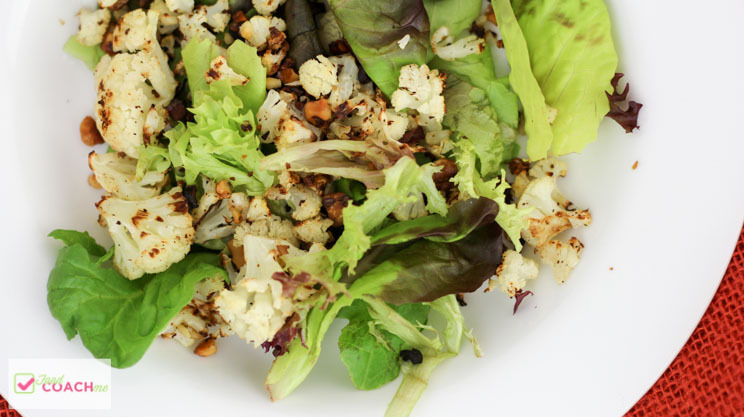 After Bariatric Surgery those … Continue reading "Carrot Apple Slaw"
Roasted Cauliflower Salad Cauliflower has become quite the bariatric surgery diet companion in recent years! I, myself, have never been a fan of cauliflower. I find it flavorless and strange in texture. 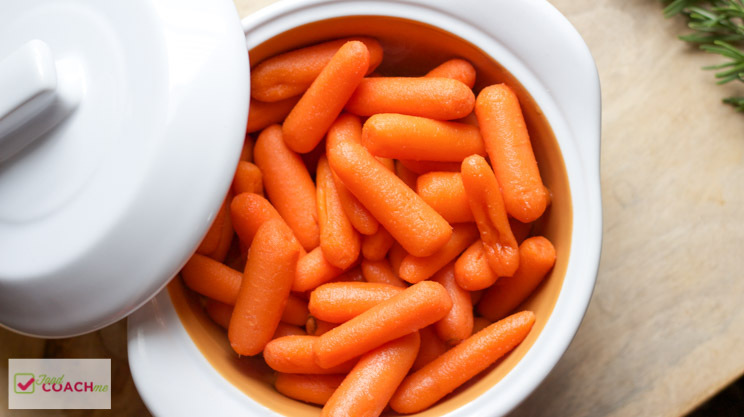 I feel it’s the last vegetable to leave a veggie tray on purpose. 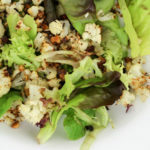 Although many recipes have gotten creative with how to use … Continue reading "Roasted Cauliflower Salad"
Vegetable Ribbon Salad After weight loss surgery it can be hard to find new and exciting side dishes to pair with your protein! 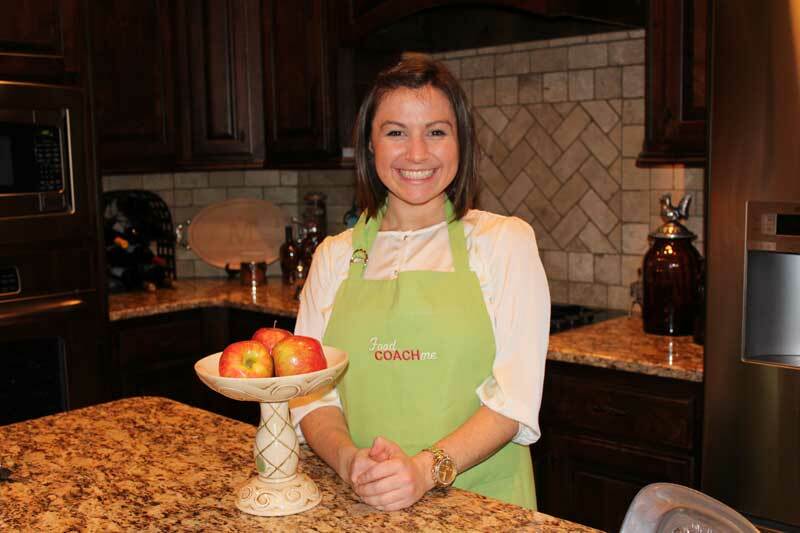 Many patients end up with only the protein or they might throw a can of green beans on the side. Getting “stuck in a rut” can apply to anything. Exercise. Protein meals. 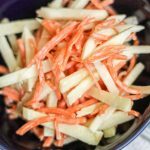 Definteily … Continue reading "Vegetable Ribbon Salad"
Sweet Baby Carrots Here’s a bariatric friendly side dish that is almost too easy that I forgot to share! 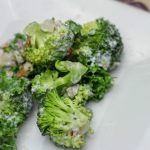 Some recipes are so second nature to my that it doesn’t even cross my mind to make it a blog post. Some of you will be bored with how simple this post is…no problem. 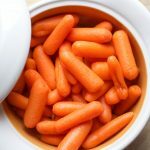 I have … Continue reading "Sweet Baby Carrots"
Sautéed Garlic Mushrooms This recipe can also be found in my cookbook! 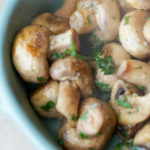 BEST FORK FORWARD: Everyday Dinners After Weight Loss Surgery I’ve always felt like mushrooms were a total food controversy. 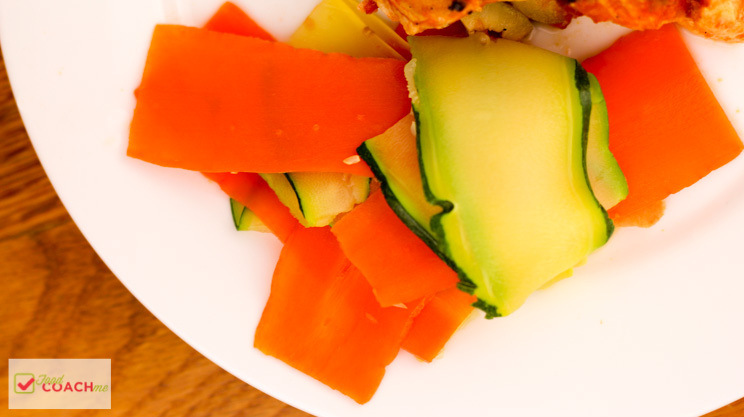 Food controversy is a made up phrase (by yours truly) for foods that people LOVE or HATE. Think cottage cheese. Cilantro. Avocado. 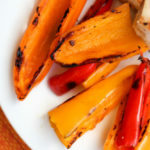 These foods … Continue reading "Sautéed Garlic Mushrooms"
Pan Roasted Sweet Peppers Oh my goodness sweet mini peppers are just so great. 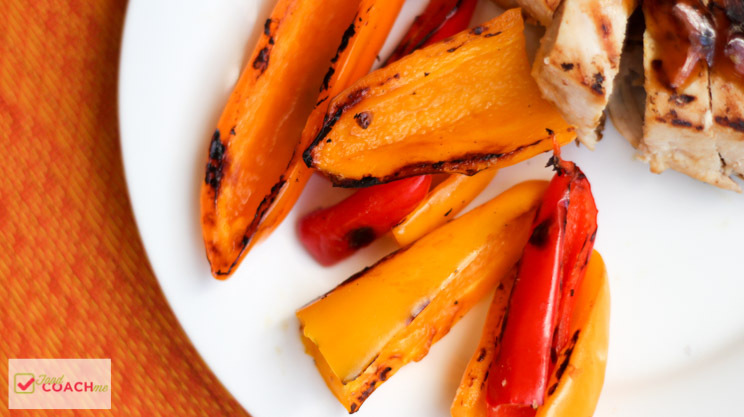 I have used them for so many low carb and WLS friendly meals…anything from Bell Pepper Nachoes to a quick stovetop dinner of Philly Cheesesteak Chicken! I love keeping them in the house for a snack. 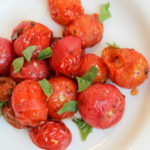 I have been known to … Continue reading "Pan Roasted Sweet Peppers"
Oven Roasted Cherry Tomatoes There are so many things to love about cherry tomatoes! Could they be any more bariatric sized?! 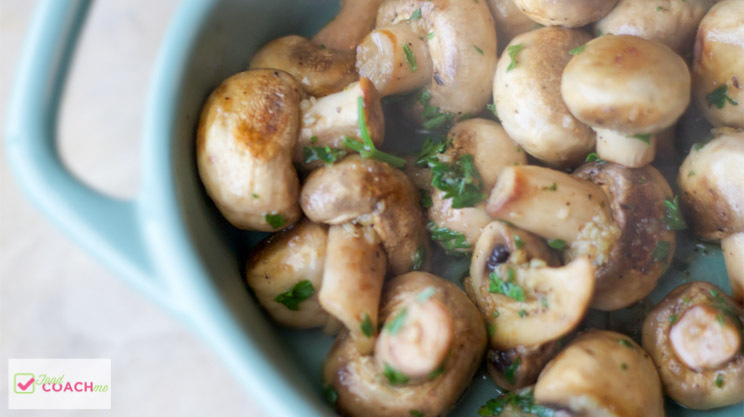 They are perfect for a small portion! I love using cherry tomatoes as a simple side to pair with cheese but it also has endless possibilities when it comes to a quick dish. 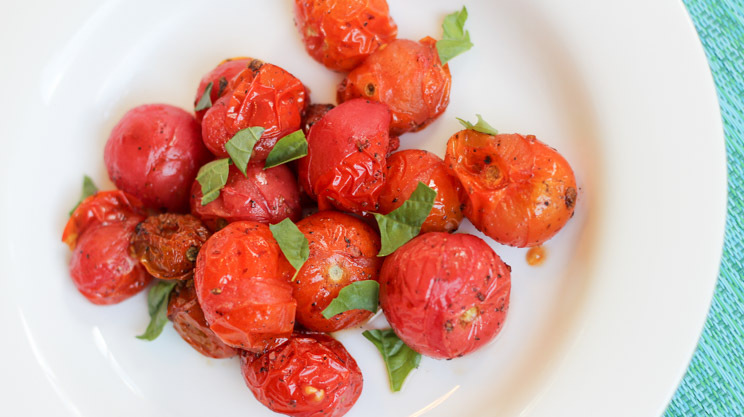 I’ll … Continue reading "Oven Roasted Cherry Tomatoes"
Tropical Tomato Salsa Bariatric surgery patient or not, having recipes that bring FLAVOR into your meals is so important to staying on track with a lower carbohydrate lifestyle. 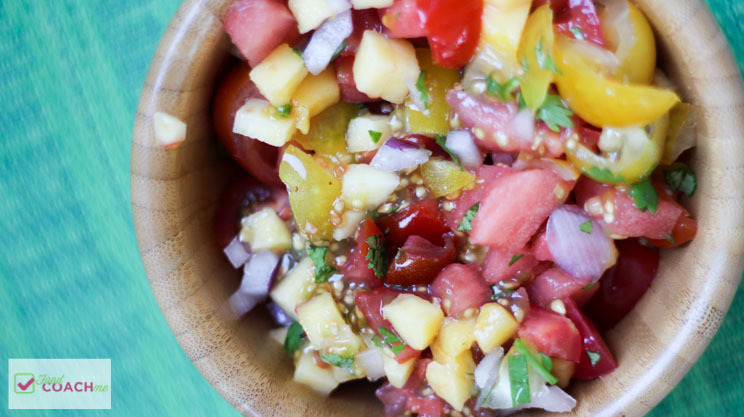 That’s why I love throwing together fresh salsas!! 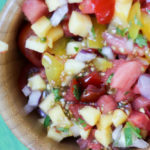 I use a lot of cherry tomatoes to put together salsa or fresh tomato toppings for chicken, beef … Continue reading "Tropical Tomato Salsa"
Basil Tomato Tossed Side Salad This bariatric friendly salad is full of fresh flavors and a fast recipe to enhance any lean protein entree! 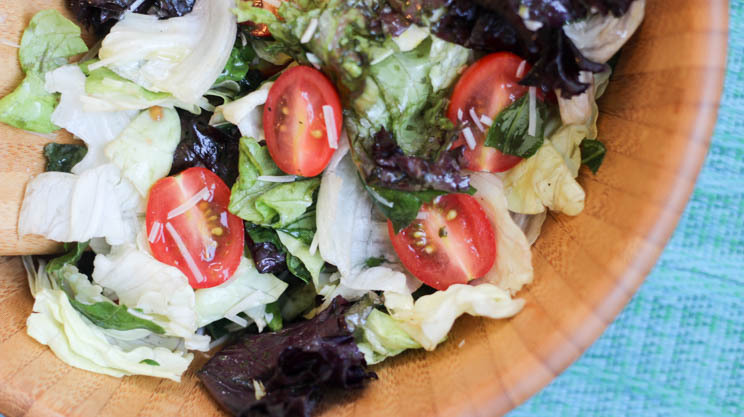 This is the recipe for the amazing Lemon Vinaigrette – highly recommend taking the time to make this for your salad! 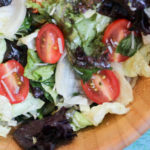 But if you are short on time you can certainly … Continue reading "Basil Tomato Tossed Side Salad"